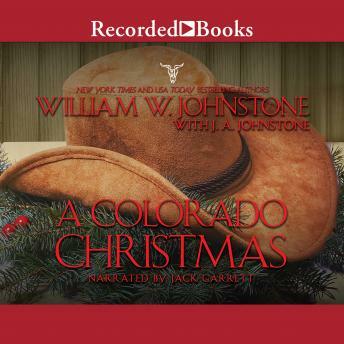 "At the Sugarloaf Ranch, Smoke and Sally Jensen prepare to welcome Preacher home for the holidays - unaware that their friend is trailed by a storm full of trouble. On a mission of vengeance, an old trapper is rescued by Ace and Chance Jensen from ruthless outlaws - and wanted by a driven bounty hunter named Luke Jensen. And, just released from prison, a criminal mastermind assembles a vicious gang of cutthroats to extract his final revenge against his enemy - the sheriff of Big Rock, Colorado. With a snowstorm brewing, a community in jeopardy, and a showdown ready to explode, these courageous pioneers are brought together by fate and fury to forge peace on earth. But they're going to have to fight for it. With guns. With grit. With glory. Because this Christmas, the greatest gift of all is staying alive."